Our Indian constitutional body is a permanent and semi-permanent organization and are mostly executive in nature. Further different type of organizations are advisory in nature. They have the power of advising the government. Main objective is to ensure effective functioning of the government. They follow the principles of constitution. Constitutional bodies/independent bodies derives power from the constitution. Any change in the mechanism of these bodies needs constitutional amendment. Sometimes amendment needs the consent of the states. The chief of these bodies are appointed by the President of India or Prime Minister Serves as a Chairman. The Constitution of India provides major Constitutional Bodies. These Constitutional bodies are formed based on the instruction of the constitution and these bodies cannot dispense off with it easily when it becomes uncomfortable. They are the central recruiting agency in India. Their charter is granted by the Constitution of India. It is an independent constitutional body. UPSC was formed by the british government during the British rule. In 1924, Lee Commission had suggested in its report for the establishment of an independent and impartial Public Service Commission for India and on the basis of such recommendation, the Union Public Service Commission was established in 1926. Consequently by the government of India Act 1935, Public Service Commission was established separately for both the central and the state government services. Article 315 to 323 of Part XIV of the constitution provides provisions for UPSC. It gives the composition, appointment and removal of members and also the powers and functions of UPSC. UPSC consists of chairman and other members appointed by President of India. The constitution doesn’t prescribe the number of members and it is decided by the President of India. They are to follow the rules mentioned in Union Public Service Commission (Members) Regulations, 1969. The Secretariat of UPSC is led by a Secretary, two additional secretaries, joint secretaries, and deputy secretaries. Here at least half of the members being the Civil Servants (working or retired) with at least ten years of experience in Central or State service. The President determines the conditions of service of the chairman and other members. They hold the office of six year term or until they attain the age of 65. The Chairman of the Union Public Service Commission has not been authorized to take any office of profit under the central or any of the state governments after his retirement from service as chairman. They can resign at any time by addressing their resignation to the president and they can also be removed before their expiry term by the president only through the means stipulated in the constitution. The President can remove the chaiman or other member for misbehavior in enquiry with the Supreme court. The advice given by the supreme court is binding on the president. The president appoints acting chairman if the office of the chairman is vacant or when the chairman is unable to perform his functions. The UPSC annually submits a report of its work to the President of India. Further it is sent to each house of parliament for discussion. The commission submits an annual report on the work done by it to the president. UPSC conducts examinations for the appointments of all India services, central services and public services. U.P.S.C. assists them in framing and operating schemes of joint recruitment for any service for which candidates possessing special qualification. Union Public Service Commission advises the President on “all matters relating to methods of recruitment to civil services and for civil posts. Principles to be followed in making appointments to civil services and posts and in making promotions and transfers from the service to another and on the suitability of candidates for such appointments promotions or transfer. All disciplinary matters affecting a person serving under the Government of India or the Government of a State in a civil capacity, including memorials or petitions relating to such matter. Matters related to temporary appointments and grant of extension of service and re-employment of certain retired civil servants. It is generally compulsory for the Government of India to consult the Union public Service Commission in respect of all the above matters. SPSC is for state level. Article 315 to 323 in part XIV of the constitution deals with provisions of SPSC. The State Public Service Commissions caters to the recruitment activities of the Indian states. Though the Union Public Service Commission may, on a State government's request, take up work for that State with the President's consent but Article 315 nevertheless also provides that there shall be a State Public Service Commission for each State. The composition of the State Public Service Commission is more or less similar to that of the Union Public Service Commission. The members of the State Public Service Commission are nominated by the Governor. The functions of both the Commissions too, are similar. Only the jurisdiction of the Union Public Service Commission is far wider than that of the State Public Service Commission. The jurisdiction of the Union Public Service Commission extends across the entire length and breadth of the country because it is related to the Civil Service of the Union Government. The Jurisdiction of the State Public Service Commission is limited within the State. There shall be a Public Service Commission for each State unless otherwise provided. The Chairman and other members of the State Public Service Commission shall be appointed by the Governor. No qualifications are prescribed in the constitution. Half of the members of such Commission shall be in government service at least for ten years. The members shall hold office for six years or until he attains the age of sixty-two years. The Governor may suspend from office the Chairman or any other member of the Commission in respect of whom a reference has been made to the Supreme Court. The Chairman and members of the State Public Service Commission shall be ineligible for further employment in any government service. The governor can appoint one of the member of SPSC as an acting chairman. The chairman and members of SPSC can be removed only by the president and not by the governor. The president can remove them on same manner as like UPSC chairman and members. To conduct examinations for the appointment to the services of the State government. To advise on all matters relating to methods of recruitment to State's civil service posts. To advise on the principle to be followed in making appointments, promotions, transfers etc. To advise on all disciplinary matters etc. The State Legislature, by an act, may provide for the exercise of additional functions for the State Public Service Commission. The expenses of the State Public Service Commission are payable from the Consolidated Fund of India. It shall be duty of the State Public Service Commission to present annually a report to the Governor as to the work done by it. The government can also make rules which regulate the scope of advisory functions of SPSC. 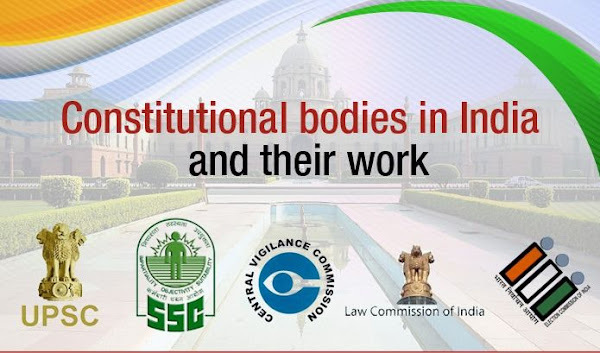 The emergence of State Vigilance Commission (SVC) in 1964 affected the role of SPSC in disciplinary matters. This is because both are consulted by the government while taking disciplinary action against a civil servant. The problem arises when the two bodies tender conflicting advice. However, the SPSC, being an independent constitutional body, has an edge over the SVC. Finally, the SPSC is consulted by the governor while framing rules for appointment to judicial service of the state other than the posts of district judges. In this regard, the concerned state high court is also consulted. The Constitution makes a provision for the establishment of a Joint State Public Service Commission (JSPSC) for two or more states. While the UPSC and the SPSC are created directly by the Constitution, a JSPSC can be created by an act of Parliament on the request of the state legislatures concerned. Thus, a JSPSC is a statutory and not a constitutional body. The two states of Punjab and Haryana had a JSPSC for a short period, after the creation of Haryana out of Punjab in 1966. The chairman and members of a JSPSC are appointed by the president. They hold office for a term of six years or until they attain the age of 62 years, whichever is earlier. They can be suspended or removed by the president. They can also resign from their offices at any time by submitting their resignation letters to the president.The number of members of a JSPSC and their conditions of service are determined by the president. A JSPSC presents its annual performance report to each of the concerned state governors. Each governor places the report before the state legislature.The UPSC can also serve the needs of a state on the request of the state governor and with the approval of the president. The Comptroller and Auditor General (CAG) of India is an authority, established by the Constitution under Constitution of India, audits all receipts and expenditure of the Government of India and the state governments, including those of bodies and authorities substantially financed by the government. The CAG is also the external auditor of Government-owned corporations and conducts supplementary audit of government companies. The reports of the CAG are taken into consideration by the Public Accounts Committees (PACs) and Committees on Public Undertakings (COPUs), which are special committees in the Parliament of India and the state legislatures. The CAG is mentioned in the Constitution of India under Article 148 to 151. He is the head of the Indian Audit and Accounts Department and he controls the entire financial system of the country. Hence Dr. B R AMBEDKAR said that CAG shall be the most important officer under the Constitution of India. The Government of India Act of 1935, made the Auditor General of India irremovable. The office of the Comptroller and Auditor General is an adaptation of the office of the Auditor General under the Act of 1935. His main duty is to see that neither the union government nor the government of any state spends any money from the consolidated fund without legislative appropriation. The CAG is appointed by the President of India. He is ranked 9th and enjoys the same status as a judge of Supreme Court of India in Indian order of precedence. He holds the office of six years term or up to age of 65. He can resign anytime by addressing his resignation letter to the President. He can be removed by the president on the same manner of Supreme Court judge removal. He does not hold his office till the pleasure of the President. He is not eligible for further office in both central and state. His salary and other conditions are decided by the parliament. His salary is equal to that of a Supreme Court Judge. He holds the rank of a secretary to the government of India. The remuneration and allowances of the Comptroller and Auditor General together with those of his staff are charged on the revenue of India. No minister can represent the CAG in both the houses of the parliament. Receipts and expenditure from the Consolidated Fund of India and of the State and Union Territory having legislative assembly. Trading, manufacturing, profit and loss accounts and balance sheets, and other subsidiary accounts kept in any Government department; Accounts of stores and stock kept in Government offices or departments. Government companies as per the provisions of the Companies Act, 1956. Corporations established by or under laws made by Parliament in accordance with the provisions of the respective legislation. Authorities and bodies substantially financed from the Consolidated Funds of the Union and State Governments. Anybody or authority even though not substantially financed from the Consolidated Fund, the audit of which may be entrusted to the CAG. Grants and loans given by Government to bodies and authorities for specific purposes. Entrusted audits e.g. those of Panchayati Raj Institutions and Urban Local Bodies under Technical Guidance & Support (TGS). Recently the CAG under Vinod Rai has constantly been in the limelight for its reports exposing mega corruption, particularly in 2G spectrum scam, Commonwealth Games scam and other scams. The president lays down these reports before both the houses of the parliament. Then public accounts committee examines them and reports its findings to the parliament. The role of CAG is to uphold the constitution of india and the laws of the parliament in the field of financial administration. The CAG is responsible only to the parliament. In addition to the legal and regulatory audit, the CAG also conducts the propriety audit that is he can look into ‘wisdom, faithfulness and economy’ of the government expenditure and need to comment on it on the wastefulness and extravagance of such expenditure. The CAG has no control over the issue of money from consolidated fund of india, he is concerned only at the audit stage when the expenditure is already taken place. The Election Commission of India is an autonomous constitutional authority responsible for administering election processes in India. The body administers elections to the Lok Sabha, Rajya Sabha, state legislatures, and the offices of the President and Vice President in the country. The Election Commission operates under the authority of Constitution per Article 324, and subsequently enacted Representation of the People Act. Election commission was established on January 25,1950. Initially, the commission had only a Chief Election Commissioner that is it is a Single Member Body from 1950 to 1989. For the first time, two additional Commissioners were appointed on 16th October 1989 but they had a very short term till 1st January 1990. Afterwards, on 1st October 1993 two additional Election Commissioners were appointed. The concept of multi-member Commission has been in operation since then, with decision making power by majority vote. The Election Commissioner Amendment Act, 1989 made the Commission a multi-member body. The concept of a 3-member Commission has been in operation since then, with the decisions being made by a majority vote. The Chief Election Commissioner and the two Election Commissioners who are usually IAS or IRS officers draw salaries and allowances at par with those of the Judges of the Apex Court of India as per the Chief Election Commissioner and other Election Commissioners (Conditions of Service) Rules, 1992. The appointments are made by the president. The President may also appoint Regional commissioner if he consider necessary to assist the election. Their condition of service and office term is determined by the President. Their salaries and allowances are equal to the judges of Supreme Court. They hold the office of six years term or until they attain the age of 65. Election commission is not concerned with the elections to Panchayats and Municipalities in the states. For this purpose our constitution had provided a separate state election commission. The Chief Election Commissioner can be removed from office only through accusation by Parliament. He does not hold office till the pleasure of the president. The powers and functions of election commission is classified into three categories namely administrative, advisory and quasi-judicial. Under the Constitution, the Commission also has advisory jurisdiction in the matter of post-election ineligibility of sitting members of Parliament and State Legislatures. Additionally, the cases of persons found guilty of dishonest practices at elections which come before the Supreme Court and High Courts are also referred to the Commission for its opinion on the question as to whether such person shall be disqualified and, if so, for what period. The judgment of the Commission in all such matters is binding on the President or, as the case may be, the Governor to whom such opinion is tendered. The Commission has the power to prohibit a candidate who has failed to lodge an account of his election expenses within the time and in the manner set by law. The Commission has also the power to remove or reducing the period of such disqualification as also other disqualification under the law. To decide the territorial areas of the electoral constituencies throughout the country on the basis of the Delimitation Commission Act of Parliament. To inform the dates & schedules of election and to scrutinize the nominations papers. To grant recognition to political parties & allot election symbols to them. The Election Commission of India is considered the guardian of free and reasonable elections. It issues the Model Code of Conduct in every election for political parties and candidates so that the decorum of democracy is maintained. It publishes the allowed limits of campaign expenditure per candidate to all the political parties and also monitors the same. It guarantees that all the political parties regularly submit their audited financial reports. The Commission can repress the results of opinion polls if it deems such an action fit for the cause of democracy. The Commission can recommend for disqualification of members after the elections if it thinks they have violated certain guidelines. In case, a candidate is found guilty of dishonest practices during the elections, the Supreme Court and High Courts consult the Commission. The Commission can postpone candidates who fail to submit their election expense accounts timely. State election commission:- The power of superintendence, direction, and control of all elections to the local government bodies vest with the State Election Commissions as envisaged in Article 243K of the Constitution of India. The Constitutional (73rd Amendment) Act, passed in 1992 by the Narasimha Rao government, came into force on April 24, 1993. It was meant to provide constitutional sanction to establish "democracy at the grassroots level as it is at the state level or national level" The State Election Commissioner (SEC) has several unique powers pertaining to the elections to Local Bodies. The SEC chairs the Delimitation Commission which delimits local government constituencies and has full powers to conduct local government elections, including disciplinary powers over staff who are on election duty. The SEC assigns reserved posts and constituencies and can disqualify candidates who do not submit election accounts, those found guilty of defection and elected representative who do not convene the Grama Sabha. The Finance Commission came into existence in 1951. It was established under Article 280 of the Indian Constitution by the President of India. It was formed to define the financial relations between the centre and the state. The Finance Commission Act of 1951 states the terms of qualification, appointment and disqualification, the term, eligibility and powers of the Finance Commission. As per the Constitution, the commission is appointed every five years and consists of a chairman and four other members by the president. They are eligible for reappointment. Till date, Fourteen Finance Commissions have submitted their reports. The Constitutional requirement for setting up a Finance Commission in India was an original idea, not borrowed from anywhere. That is why it is called the original contribution. The constitution authorizes the parliament to determine the qualifications of the members and the manner in which they should be selected. Person with specific knowledge of finance and accounts of the government. Person with the knowledge of economics. To make recommendations to president as to the measures needed to augment the Fund of a State to supplement the resources of the panchayats and municipalities in the state on the basis of the recommendations made by the Finance Commission of the state. The President, after considering the recommendations of the Finance Commission with regard to income tax, prescribes by order the percentages and the manner of distribution. So, parliament is not directly concerned with the assignment and distribution of the income tax. Finance Commissions mainly focuses on the financial relations between the State government and the Central government. It can be said that the Finance Commission as an autonomous body has served a wonderful purpose. In, as complex a society as India is, it acted as an agency to bring about coordination and cooperation for smooth working of a federal system. Finance Commission does not tell the Union Government on how to increase its funds. Its work is to make recommendations on distribution between the Union and the States of the net proceeds of taxes and the principles which should govern the grants-in-aid of the revenues of the States out of the Consolidated Fund of India and the sums to be paid to the States which are in need of assistance by way of grants-in-aid of their revenues. Recommendations of finance commission are advisory in nature and not binding on the government. National Commission for Scheduled Castes (NCSC) is an Indian constitutional body established with a view to provide safeguards against the exploitation of Scheduled Castes to promote and protect their social, educational, economic and cultural interests, special provisions were made in the Constitution. It is directly established by article 338 of the constitution. In 1978, the government through a resolution set up a non-statutory multi-member body. Hence the first Commission for SC and ST was set up in August 1978 with Shri Bhola Paswan Shastri as Chairman. In 1987 the government modified its functions and renamed it as National commission for SCs and STs. The 65th constitutional amendment act of 1990 provided the establishment of high-level multi-member national commission for SCs and STs. The first Commission was constituted in 1992 with Shri S.H. Ramdhan as Chairman. The third Commission was constituted in December 1998 with Shri Dileep Singh Bhuria as the Chairman. The fourth Commission was constituted in March 2002 with Dr. Bizay Sonkar Shastri as the Chairperson. (2) National Commission for Scheduled Tribes. To investigate and monitor all matters relating to the safeguards provided for the Scheduled Castes under this Constitution or under any other law for the time being in force or under any order of the Government and to evaluate the working of such safeguards. To investigate into specific complaints with respect to the deprivation of rights and safeguards of the Scheduled Castes. To prepare such reports recommendations as to the measures that should be taken by the Union or any State for the effective implementation of those safeguards and other measures for the protection, welfare and socio-economic development of the Scheduled Castes. To discharge such other functions in relation to the protection, welfare and development and advancement of the Scheduled Castes as the President may, subject to the provisions of any law made by Parliament, by rule specify. The commission presents an annual report to the president. It can also submit when it feels necessary and president places it before the parliament along with memorandum explaining the actions taken on the recommendations. In India, Scheduled Tribes community suffer a lot due to social, educational and economic backwardness. Unfortunately such miseries were in practice from many centuries because these two communities were considered untouchables in society. Establishment of National Commission for Scheduled Tribes was considered mandatory for the improvement of this community. On the 89th Amendment of the Constitution enacted on 19th February 2004, the National Commission for Scheduled Tribes has been formed under Article 338A on the bifurcation of the former National Commission for Scheduled Castes and Scheduled Tribes to supervise the implementation of various safeguards provided to Scheduled Tribes under the Constitution. The Commission comprises a Chairperson, a Vice-Chairperson and three full time Members (including one lady Member). The term of all the Members of the Commission is three years from the date of assumption of charge. They are appointed by the president. Purpose of setting up this commission is to safeguard their interests to keep them socially and economically strong and enhance their living standard. In 1999, a new ministry of tribal affairs was created to provide a focus on welfare and development of STs. It is felt that ministry should coordinate all the activities of STs as it would not administratively feasible for ministry of social justice and empowerment to perform this role. In order to safeguard their interests it was proposed to set up a separate national commission for STs. To discharge such other functions in relation to the protection, welfare and development and advancement of the Scheduled Tribes as the President may, subject to the provisions of any law made by Parliament, by rule specify. The Attorney General of India is the Indian government's chief legal advisor, and its primary lawyer in the Supreme Court of India. The Attorney General is the first law officer of the government of India and acts as top advocate for Union Government. He is responsible for giving advice to President / Government of India upon such legal matters and to perform such other duties of legal character which are assigned to him by the President. Attorney general has right of audience in all courts within the territory of India. He has also the right to speak and take part in proceedings of both the houses of parliament including joint sittings. However, he cannot vote in parliament. Further, attorney general can also be made a member of any parliamentary committee but in the committee also, he has no power to vote. Attorney General has all the powers and privileges that of a member of parliament. He is appointed by the President of India under Article 76(1) of the Constitution and holds office during the pleasure of the President. He must be a person qualified to be appointed as a Judge of the Supreme Court, also must have been a judge of some high court for five years or an advocate of some high court for ten years or an eminent jurist, in the opinion of the President and must be a citizen of India. The term of office is not fixed by the constitution and also it does not provides any procedure for his removal. He holds the office during the pleasure of the president. He resigns when the government resigns or replaced, since he is appointed on its advice. Remuneration of AG will be determined by the president. Attorney General is not a full-time Government servant. He is an advocate of the government and is allowed to take up private practice, provided the other party is not the state. Further, he can not defend the accused persons in criminal matters without permission of the government. In Britain the Attorney General is a member of the Cabinet. In India Attorney General is not a member of the cabinet and in cabinet, there is a Minister of law. Though the Attorney General has privilege to address both the houses of the parliament and enjoys same immunities and privileges as other MPs in India. To advice the government of India on legal matters which are referred to him by the president. To perform duties of legal character that are assisted to him by the president. To discharge the functions conferred on him by the constitution or any other law. To appear on behalf of the government of India in all cases in Supreme Court in which government of India is concerned. To appear in any high court in any case in which government of India is concerned. To represent the government of India in any reference made by the president to Supreme Court under article 143 of the constitution. In addition to the AG, there are other law officers of the government of India. They are solicitor general and additional solicitor general of India. They assist AG in the fulfillment of his official responsibilities. AG is created by the constitution but article 76 does not mention about solicitor general and additional solicitor general. In India, an advocate general is a legal advisor to a state government. The post is created by the Constitution of India and corresponds to that of Attorney General of India at the federal or central or union government level. The Governor of each state shall appoint a person who is qualified to be appointed judges of high court. Article 165 has provided the office of advocate general for the states. The term of office is not fixed in the constitution and no provisions for removal too. He holds the office during the pleasure of the governor. His remuneration is not fixed hence governor determines it. The advocate general is made to appear before any court of law within the state. He enjoys all the privileges and immunities that are available to a member of the state legislature.